1) I opened a Schwab Global Investing account. I’ve been wanting to get diversified into more international stocks and this will allow me to do it directly on foreign stock exchanges in the native currency. My first “investment” was converting USD$3000 into CAD$. I’ll be using this to invest into resource stocks that are typically traded in more volume on the Toronto Stock Exchange than on the pink sheets in the United States. The resource sector investments will be done as a smaller percentage of my portfolio on a more long-term speculative basis. 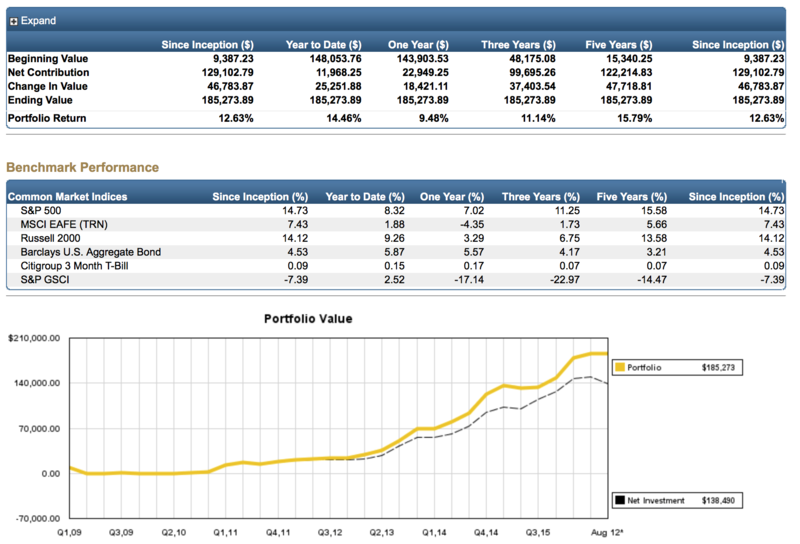 2) Speculative investments. While the majority of my investments will be the dividend investing that has formed the foundation for this portfolio, I will be taking “play” money and investing it in non-dividend paying growth stocks from around the world. Some of these will be under the umbrella of my Global Investing account and the others will be traded on the US stock market. These more risky investments should and will be only made with money that I can afford to lose. I’ll also be placing around 35% stop losses on these as well in order to not lose the entire investment if it goes against me. 3) Dividend spreadsheet. Over the last year or two, the spreadsheet as morphed into an attempt at not only tracking dividend investments but also, at least my own version of it, into trying to track options, portfolio performance statistics, LendingClub performance, non-dividend paying stocks, etc. I’ve found that the more complex I make it, the harder it becomes to keep it up-to-date. With that in mind, I’ve decided to simplify my use of the spreadsheet. I will be removing from the spreadsheet all non-dividend paying stocks. This will greatly simplify things. 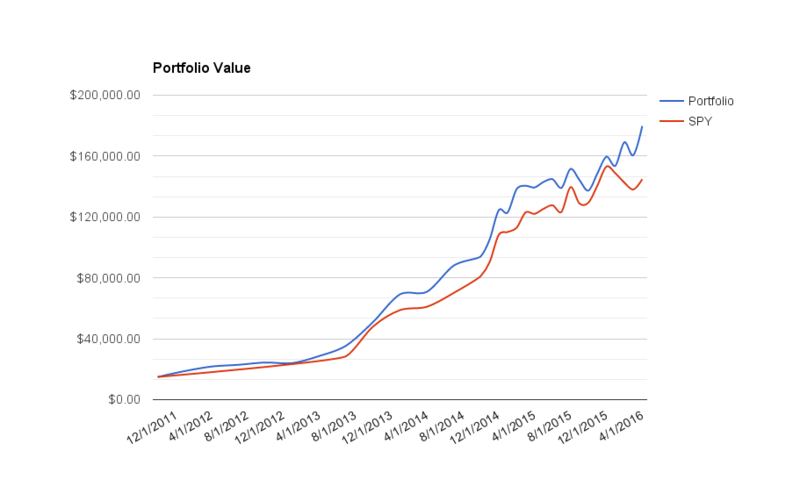 I have been pretty happy with how my Performance tab keeps track of my entire portfolio value (including option income and Lending Club interest) and graphs it against the S&P500 index. I don’t think I demonstrated my method for doing this comparison, but I’ll release a standalone spreadsheet sometime soon. It looks pretty good (IMHO) and gives a lot of data. The problem is that a lot of that data has to be manually typed in using the latest values at the end of each month. If I’m off by a few days (or weeks or months), it becomes hard to retrospectively go back and enter it correctly. My thought is that things should be kept as simple as possible if one wants to use it longterm. And, with my busy work and life schedule, the current implementation is just too burdensome. Since I’ve consolidated most of my accounts with Schwab, I will be simplifying my personal use of my dividend tracker spreadsheet to track only dividend yielding stock and will not be updating the Performance tab. Instead, I’ll rely on Schwab’s awesome offerings. 4) Lastly, I’m going to try to get Johnny to post as well. I know he has some interesting updates regarding his bitcoin investments that I can’t wait to hear. I’m still not convinced that it will become a major world currency, but its effect is being felt nonetheless. Blockchain, the technology popularized by bitcoin is terrific: IBM looking at adopting bitcoin technology for major currencies. Instantaneous transactions with no three-day hold on closing would be incredible. Very cool — looking forward to hearing more about this stuff! Haha! More updates coming soon. Thanks for the update! It would be great to hear a little first-hand experience about bitcoin. I know nothing about that! Great to have you back on the scene. Hopefully the move went well and you’re liking you new location. I look forward to more posts. Thanks! It’s been a good career move so far.